This year has seen the publication of a fair amount of peer-reviewed articles on the role of climate change in the Maya collapse. A new one will be available in Science tomorrow and Swedish Radio and Swedish Television contacted me for comments. To me this is an important article but in a different way than the one the authors present. It confirms my critique of uni-causal palaeoclimatological explanations for sociopolitical changes in the Maya area. I am not a palaeoclimatologist so I leave those technical aspects of the analysis to the side. Since I have never been critical to the fact that the Maya lowlands have experienced many droughts I have nothing to complain about that part. I am more concerned about the way climate change is believed to have been the primary “agent” in Maya history. To begin with there is at least one statement in the text that seems unclear to me. The authors writes that “lake sediments from the Yucatan Peninsula provided the first evidence of substantial drying in the Terminal Classic (1). However, disturbances to lake sediment sequences caused by prehistoric deforestation and agricultural expansion during the Classic Period complicate reproducing these results near the largest and most politically important Maya centers (such as Tikal and Caracol)” (p 788). Do they mean that these lakes in Yucatan were not affected by deforestation and agricultural expansion, that there were no people living nearby? If so, how do they know that? No large scale settlement survey has taken place around Lake Chichancanab which is the largest of these lakes. CRAS, the project which I am affiliated with, has documented over 80 sites 7-30 km from the lake and although these are fairly small sites compared to Tikal, Calakmul and Caracol, they are many. The study uses an exceptionally well-dated stalagmite from Yok Balum Cave (YOK) in Belize. This cave is located only 1.5 km from Uxbenká in Belize. Within 30 km there are three other Prehispanic Maya sites (Pusilha, Lubaantun and Nim Li Punit). The stalagmite provides a subannually resolved rainfall record. This is set in relation to known inscriptions from several sites in the southern lowlands. It is argued that the “age control of our climate reconstruction is comparable in precision with the historical record, providing a foundation for examining the complex nature of political dynamics in response to climate change” (p 789). I will not repeat Gerardo Aldana’s critique of the GMT-correlation constant for Long Count dates but there is a potential discrepancy between the two kinds of records they use. Further, the subannual record of ONE single stalagmite is related to inscriptions from MANY different sites across a vast area (who all are subsumed under the problematic category known as “Maya culture” or “Maya civilization”). Most dated monuments highlight certain important events with years, katuns and even centuries of temporal gaps on site-level. Even on the regional level there are gaps, hardly a continuous record comparable to the 56-cm long stalagmite (which grew continuously between 40 BC and AD 2006 when it was collected). Hence, what the study implies is that the stalagmite can be used to explain the history of the whole Maya cultural area (as defined by modern archaeologists) for the past two millennia. I find that highly problematic. Less problematic is that they attribute the climate variability to the location of the Intertropical Convergence Zone (ITCZ) and changes in the El Niño frequeny. During El Niño years the ITCZ is located over the eastern equatorial Pacific and summer rain decreases. The stalagmite data indicates periodicities of 3-8 years which is characteristic of ENSO. It is acknowledged that there is a major problem trying to correlate different climate records (Lake Chichancanab, Lake Punta Laguna, Macal Chasm, etc.) because there are chronological uncertainties. The Tecoh/Chaak speleothem data is oddly left outside this study. The regional records cannot be linked although they all show similar trends on multidecadal droughts. In this particular Science article the multidecadal droughts occurred between AD 200-300 , 820-870, 1020-1100 and 1530-1580. Very severe drought events occurred around AD 420, 930 and 1800. For some reason, not explained to the reader, the oxygen isotope record is seen as unreliable for the 20th century because it does not reflect drought conditions. I would like to know why. Has it to do with new landuse above or near the cave? Neither is the drought event 1800 or 1765-1800 (as we can see in figure 2) discussed. The 1765/1766 famine in Yucatan was caused by locusts and a hurricane rather than a drought. As I have argued elsewhere, during the latter part of the 18th century (1780 and onwards) the Bourbon reforms undermined people’s capacities to tackle famine. There is one part of the study that I find more problematic than other parts and it is this quote: “Droughts recorded in the Yucatan between 1535 and 1575 C.E. (14) correspond to one of four multidecadal droughts evident in the YOK-I record (Fig. 2). The interval from 1535 to 1542 C.E. was particularly dry. Historical accounts link this drought to reduced agricultural productivity, famine, disease, death, and population relocation. Some estimates suggest that drought-related agricultural disaster caused nearly a million deaths in Mexico in 1535 C.E. (15), illustrating how meteorologically dry conditions presage agricultural drought with severe effects scaled to population density and level of agricultural intensification. A dry period comparable with the historical drought of 1535 C.E. is evident in the YOK-I record at the end of the Preclassic Period (200 to 300 C.E. )” (p 789ff). This is the way Richardson Gill created his megadrought hypothesis. He used Colonial period analogies to support interpretations of Prehispanic droughts without discussing what happened to the Maya area and the Neotropical Americas 1535-1575 (and after that). The arrival of the Spaniards spread diseases from which the swidden agriculturalists died. The forest grew back, particularly in the Amazon. This resulted in a global cooling since the slash-and-burn activities had created global warming. The forced relocations of people were disastrous and the rural areas were depleted of grain to support the Spanish towns during famine, etc. Hence, the effects of the drought(s) in the 16th century were intensified by the sociopolitical and economic system and germs introduced by the Spaniards. Although these effects may have arrived later than the drought recorded in the speleothem these are long-term effects for the whole Colonial era. More crucial for the immediate effects in 1the dry period 1535-1542 was Francisco de Montejo’s military campaigns that began in 1527-1534 and those by his son and nephew 1540-1547. These circumstances undoubtedly reduced the capacities to tackle a severe drought. To compare this with the Late Formative (Preclassic) drought(s) is misleading. The Late Formative drought (AD 200-300) is associated with the demise of El Mirador although the abandonment of this site usually is set to around AD 150. That may, of course, be a correlation problem. They argue that the Early Classic period experienced high rainfall and wetlands and aguadas could be sustained and therefore many new polities emerged during this period. They state that “population increases and the expansion of Classic Maya polities were favored by anomalously high rainfall and increased agricultural productivity between 440 and 660 C.E.” (p 791). As I have argued before, with reference to one of Medina-Elizalde and others’ studies, there were at least two major drought events in the middle of this period and a third one that may correlate with the one in 660 in this present study. These three drought events were each worse than each of the eight Terminal Classic droughts noted in the Chaak data. However, we lack evidence of massive scales of death around this time. Why is there no mention of Teotihuacan’s potential role in Early Classic Maya politics? The site’s influence in the Maya area disappears between mid-500s to mid-600s, perhaps as a result of the drought(s) (or the growing influence of the Kan kingdom). Hence, when the authors propose that a two-stage collapse began around 660, when the sociopolitical system became destabilized, they are not discussing the possibility that the “destabilization” may have been the result of Teotihuacan’s disappearance as a hegemonic empire and the Kan kingdom’s attempt to take control of sites that had been part of the “Teotihuacan alliance” (primarily Tikal of course), perhaps even to reclaim the territory that El Mirador once controlled (probably the former capital of the Kan kingdom)? Drought(s) may have intensified the warfare but it may not have been the trigger. The multidecadal drought 820-870 was part of a drying trend (640-1020). Between 750 and 775 at least 39 sites dedicated monuments with inscriptions. After 775 the number of dedicated monuments began to drop in number. Between 800 and 825, 50% of the sites created similar monuments. This is seen as evidence that the political system failed. It is argued that the “tradition” (“divine” kingship or what tradition is being referred to?) ended at Chichen Itza between 1000 and 1100. I doubt that myself. In my view Terminal Classic Chichen Itza was part of another political (or religious) system than we find in the south. I am almost willing to accept Stanley Guenter’s not yet published revival of the old “Toltec empire” scenario here (with modifications). Medina-Elizalde’s study, which uses data closer to Chichen Itza suggest a wetter climate than today between 950 and 1250. This is not in line with the Yok Balum data. Similar to the reference of the early and late Colonial droughts the authors here connect the Yok Balum data to a distant area (Chichen Itza) where their data potentially is misplaced. The Northern Lowlands is left outside the discussion of Late Formative, Early and Late Classic politics. It is only included when the authors lack comparable contemporary data near Yok Balum. That points toward an incomplete record. Kennett, Douglas J. et al (2012). Development and Disintegration of Maya Political Systems in Response to Climate Change. Science 338, 788-791. Mr. Normark, you mentiioned that you have argued elsewhere that during the latter part of the 18th century (1780 and onwards) the Bourbon reforms undermined people’s capacities to tackle famine. Could you give a link? Thanks. Has anyone written anything about the possible role of head deformation in the decline & collapse of Maya city states? Considering that this fashion was practiced by the elite & ruling classes, I wonder if it may have caused brain damage in some of them, spawning erratic behavior & leading to social degeneration. If divine rulers started to behave strangely, would their subjects have seen them as insane or inspired? It would be interesting to track the history of the head-deforming fashion & see if its use, particularly in extreme forms, correlates with the fall of cities & dynasties. Not that I am aware of. Head deformation was not restricted to the elite. I’m grateful for this article. Other laymen will be too. Friends of mine who read avidly about the Maya get frustrated when they find out that the things written so confidently about the Maya in peer-reviewed articles or books by academics are later shown to be poorly supported. Part of the problem, probably, is that no one attracts much media attention (or makes a reputation in academia) by saying “there just isn’t enough data to say what happened and why”, even when that’s the answer. Instead, the media give us laymen articles where an academic announces a hypothesis that will have ground breaking implications if true. Those implications get most of the space in the article, followed by a token statement or two about the preliminary nature of the work being reported. Within a few years, we laymen will be treated to another “ground breaking” article that contradicts the first. Many of us end up accepting this situation as the norm. It seems to be part of a larger trend in public discourse, where people make snap judgments and speculations, then spend their time defending them against other, equally unsupported claims, rather than try to find out what is (or isn’t) known. In my experience, many of us laymen disbelieve that that can even be done: if an articulate person proclaims something that we’re predisposed to believe, we’ll tend to accept it, without even looking for a contrary view. Why bother, when no way exists to determine which side is right? We might as well just argue for our side. We know that that’s what the other side will be doing. A phenomenon that’s helped the spread of the 2012 nonsense. To most of us laymen, John Major Jenkins is as reliable as any academic, and less boring. The climate change explanation, and droughts in particular, is not even new stuff. The first important articles were published 30 years ago. It is only now we have this detailed climate data but that is irrelevant when we still have a farily rough understanding of politics, economics, etc. I do think droughts played a significant role but I would limit my explanations to a smaller geographical area. This study shows the risk of cherry-picking the data. Since there is no known data from the late Terminal Classic/early Postclassic and the Colonial period near this cave, they attempt to explain what was going on in northern Yucatan instead where we do have climate data that indicates the opposite of what they are saying! There are so many articles being published now that follows the general trend. Why? Because it is a trendy topic and research is all about politics. The current climate issues in our contemporary society is reflected in archaeological research. Another reason is that it is most likely the same people peer-reviewing most of these articles. They also tend to have focused on one single topic (or a narrow scope of similar topics) for the most time of their career. Reading your article it seems that everything is specific, local, or regional in the specificity of forces, powers, and intensities that shape these culturenature intra-actions. Your comment on a “Toltec-revival” … I’ll have to look this author up… so much to read and study; all so fascinating! Thanks! In my opinion the collapse of the Maya started after all the Anunnaki left the Earth, after about 560 BC. This is just my own opinion. 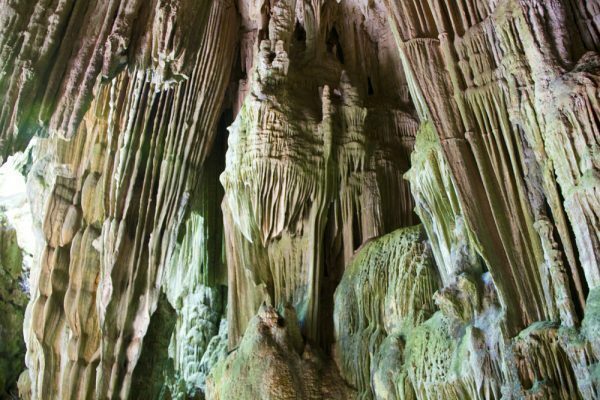 This link isn’t about the Maya, but it is about caves and what can be inferred about climate change from speleothems. Do you have any comments on it? Looks interesting but it is beyond the topic I deal with.